In East Asia, a new dawn is breaking with successful peace talks between the two Koreas, and a keynote meeting between European and Asian leaders in Seoul. The reconciliation between the two Koreas is a monumental event considering their rivalry in the post-World War II era and the Korean War of the early 1950s. 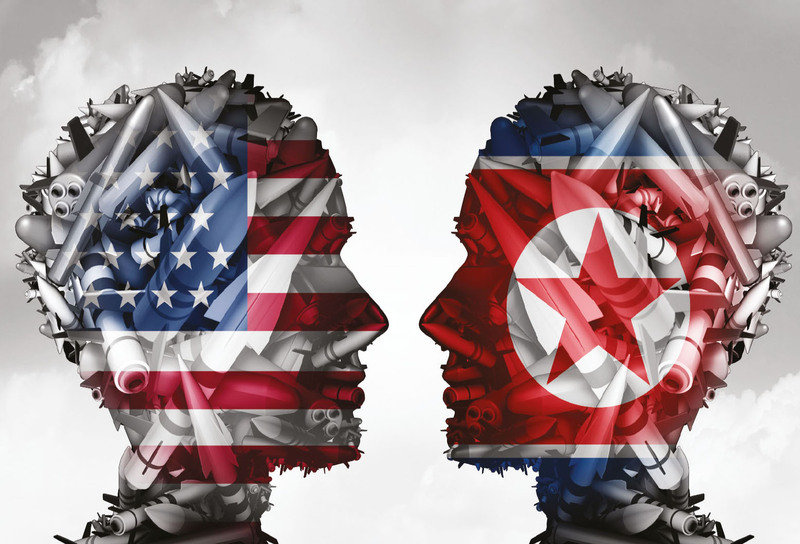 The existence of two Koreas since then and tensions between them have been a constant reminder of the Cold War – even after the official end of the latter. Panmunjom (the ‘truce village’) continued to be a sort of Berlin Wall, which symbolised the underlying tension between the two countries. South Korea appears to be a bridgehead of the US whereas the North Koreans represent a stronghold of communism. However, developments have occurred to render this position untenable, and the real breakthrough that led to the reconciliation was no doubt the personality and vision of South Korean President Kim Dae-jung. Indeed, conferring the Nobel Peace Prize on him was a universal recognition of this fact. This has turned the tide and resulted in the North-South Joint Declaration, which was signed by the two leaders in June this year. It has also opened the door to other dramatic developments, which include the recognition accorded to North Korea by the international community. A mark of this was the official visit by US Secretary of State Madeleine Albright in which time she held discussions with North Korean leader Kim Jong-il. Albright explained that the purpose of her visit was to establish a new reality where neither side threatened the other and North Korea becomes more open to the world. Her visit symbolised a new era in North Korea’s history in that there is now a scramble by many countries to establish diplomatic relations with Pyongyang. This flurry of diplomatic activity could not be timelier because of the current financial plight and desperate economic conditions existent in North Korea, as a result of floods and famine. It is estimated that two million have died in the north over the last five years as a result of these calamities. Concurrent with these dramatic developments in North Korea, Seoul is also the centre of attention as the venue of the Asia Europe Summit meeting known as ASEM. This is a grouping of 25 nations comprising 10 Asian and 15 European states including the EU. This is the third such summit of this forum with the last two being held in Bangkok in 1996 and London in 1998. The objective of ASEM is to harmonise the policies of member states in the political and economic spheres. But this has not been easy due to the different approaches by European and Asian countries on key issues like globalisation, democracy and human rights. However, from South Korea’s point of view, this is an opportunity for it to bask in the eyes of the world. Kim will probably use the opportunity to focus on reconciliation with Pyongyang and the need to welcome North Korea to the family of nations. This summit coincided with crucial discussions between the US Secretary of State and the North Korean leader on security issues, which relate to Pyongyang’s missile programme. The US is understandably concerned that this is a threat to the security of the region especially because of the export of missiles to Iran and Libya by North Korea. It also concerns the larger question of the national missile defence system proposed by the US as a security cover of this region. Such a system could certainly give rise to problems in American relations with China and Russia, and the need to resolve it satisfactorily. There is genuine concern in the US about Pyongyang’s real intentions in view of its massive expenditure on armaments. However, if these issues are resolved amicably and an understanding reached, it will pave the way for a visit to North Korea by the US president. It will also open up new vistas for American policy in the Far East. This is assuming special importance at this juncture in view of prevailing apprehensions regarding Sino-American relations. It is also apparently a subject of study by the US State Department, which has reportedly circulated a secret document suggesting various possibilities. Whatever the assessments are, there’s no question that the China factor will now be a major preoccupation for US policy on Asia.